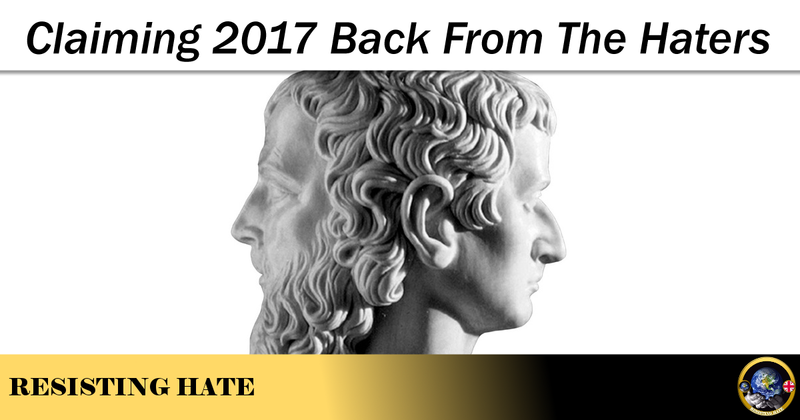 There is little need to recap the chaos of 2016. Certainly to anyone with a social media presence or who reads the newspapers the horrors have been all too evident. 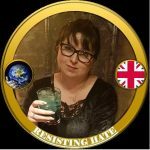 From an increase in worldwide terrorism to the shock Brexit referendum through the rise in Nationalism, evidenced by support for hate groups like Britain First and National Action, and culminating in the election of a fascist to the American presidency – 2016 was not a good year for humanity. On the face of it things look pretty bleak but there is a big difference between Jan 2016 and Jan 2017. This time we are prepared. Last year caught most of us on the hop. I had the odd nagging worry that the Brexit vote might be closer than I would feel comfortable with but I never seriously entertained the idea that Britain would actually vote to leave the EU. As for Donald Trump becoming the President of the USA, that was so farfetched a year ago as to be laughable. We simply didn’t consider the possibility that people would listen to far right rhetoric and that was our mistake. We underestimated the need for change and the desperation of those who would turn to anyone, even far right haters if they promised that change. We overestimated the integrity of our media and unwittingly allowed fake and misleading news to be consumed by the people who would vote in the crucial 2016 elections. Perhaps we even overestimated some of the people themselves. We put the future of our countries in the hands of many whose only source of political knowledge came from the likes of the Sun newspaper and who in many cases were unwilling to put the work in to seek out a deeper understanding of the consequences a post Brexit pro Donald Trump world would bring. We are perhaps now Coleridge’s sadder and wiser men. It has taken the events of 2016 to bring us to the point where we now acknowledge and understand the far right to be the dangerous adversary it is. We have learned our lesson in the hardest way possible but the hope is that we have learned it in time. A Facebook meme commented: “The Holocaust started with words not actions” and this is deeply relevant to where we find ourselves at the start of 2017. We know where the path to hate will take us. We know how easily it is for those well versed in the art of hate rhetoric to take power. We understand the danger of allowing silence to be mistaken for complicity in atrocity. Everything we ever learned from history has been played out right before our eyes on the stage of 2016. The important thing now is what we do with this knowledge. Although there have been some last ditch attempts to stop Brexit going through and prevent Donald Trump from becoming President these are now looking very much to be fait accompli. One thing our far right haters have got right is that we will achieve nothing by crying over the legacy of 2016. We need to use what we have learned constructively to mitigate the damage limitation and stop it spreading. Voters in the Netherlands, France and Germany will have a positive opportunity to fight back at the polls. But it isn’t enough just to vote. If you are a politically aware person with a good understanding of the carnage the likes of Le Pen will cause, educate others. Write posts about it and put them on social media for your friends to see. Discuss it at dinner parties. Talk about it with your work colleagues. Help others to see the parallels between the polls in your countries and the far right hate victories of 2016. If you are not politically aware and one of the “taking our country back” brigade be honest with yourself. Do you actually know enough to vote? If you don’t then get out there and take responsibility for looking at unbiased sources of information to bring you to an informed point of view before you step inside the polling booth. For Britain and America the vote ship has already sailed. But those of us who support humane and liberal values are very far from being defeated. What we need to focus on now is putting good into the world. Build bridges between communities. We need to make minority groups feel they do belong in the countries they live in, despite what the hate press and divisive politicians say. This doesn’t have to be on a grand scale, even eye contact and a smile can help eradicate the invisible barriers that the far right hate has erected. We need to stand up and oppose division and hate rhetoric. Report the hate you see on social media platforms, complain to the newspapers when you see inaccurate and divisive reporting. Write to your MP and sign petitions to make your voice for good clearly heard. 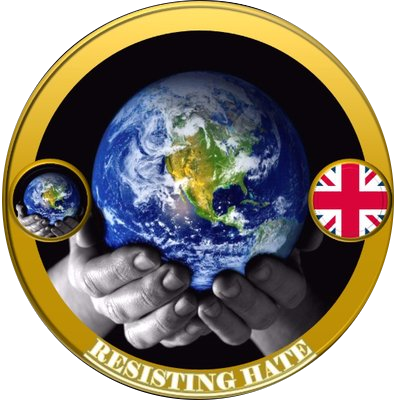 Support groups like Hope not Hate who fight fascism and, if you can afford it, donate to charities who offer support to victims of hate crime. Uphold the values you stand for in every aspect of your life. Challenge prejudice wherever you encounter it and be willing to explain why it is wrong and why it hurts people. Educate rather than intimidate people into an appreciation of why it is wrong to discriminate against individuals and communities. Whatever you are willing and able to do to fight hate is of absolute critical importance in 2017. The far right are not going away, they are engaged in a battle to win the hearts and minds of the populace and we must not let this happen. We must not be the good men who saw the evil and did nothing, we must not be the people who turned their backs until it was too late and who had nobody to speak up for them when the hate finally turned their way. We must not be our naïve selves of 2016 who believed hate would never take a foothold in our societies. It did and now we need to stop it.